Hi, I'm Sharell (Shuh-rell)! I delight in the beauty of nature and the great outdoors. I strive to add vivid splashes of color and a dash of whimsy to my bright and happy artwork. Upon graduating with a degree in Animal Biology, I started a pet sitting and dog walking business which led to experimental pet portrait paintings. I have always had an artsy soul and soon found I loved painting animals and nature. I add an extra element of the outdoors to my work by creating my art on wood slices. I love creating vibrant art for nature lovers and sparking more compassion for our planet. A portion of each sale is donated to wildlife conservation, habitat protection, and scientific research. My wish is that my art inspires others to get outside and enjoy nature, even if it starts as a simple walk close to home. Once you explore the wilderness, you appreciate it more and form a connection to these wild places and animals. You can find so much peace in nature and I hope my art is able to remind people how lucky we are to live in this beautiful world, how important it is to stay connected to mother nature, and how we must strive to keep the wild, wild. I primarily use acrylic paint but also dabble in watercolor and mixed media materials. I enjoy trying new techniques and creating something truly one of a kind. I sell my artwork through my Etsy shop and am honored to have my art live in many different states and countries. 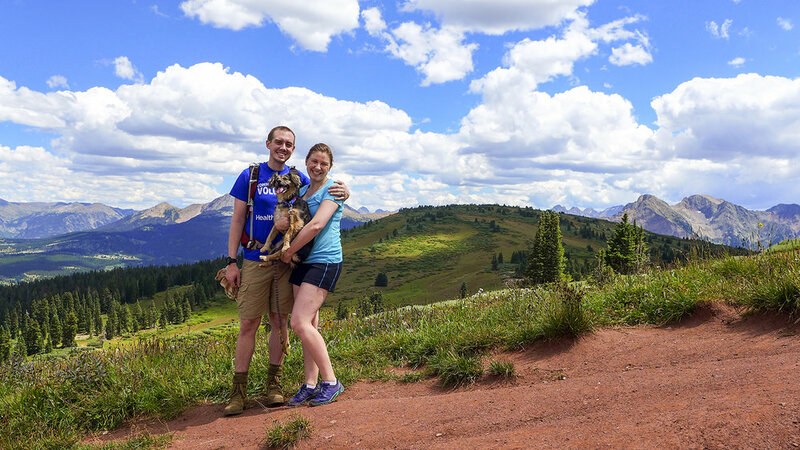 I currently live in beautiful Littleton, CO along with my husband, Casey, and dog, Penny. I have an immense amount of nature at my fingertips for inspiration. I adore the deep blue skies, fluffy white clouds, powerful mountains, and roaring rivers that Colorado has to offer. I aim to live in the present, enjoy the simple pleasures of life, and put a smile on other's faces whenever possible. If you want a piece of artwork that inspires you to plan your next adventure or commemorates your favorite animal, all while contributing to wildlife conservation, click HERE to visit my Etsy shop.